Incorporating feng shui into a space can help improve the flow of energy through the home, attracting positive forces to increase happiness, improve finances, better relationships, and more. The goal of feng shui at home is to harmonize your energy with your home’s energy, aligning your surroundings with who you are and who you want to be. 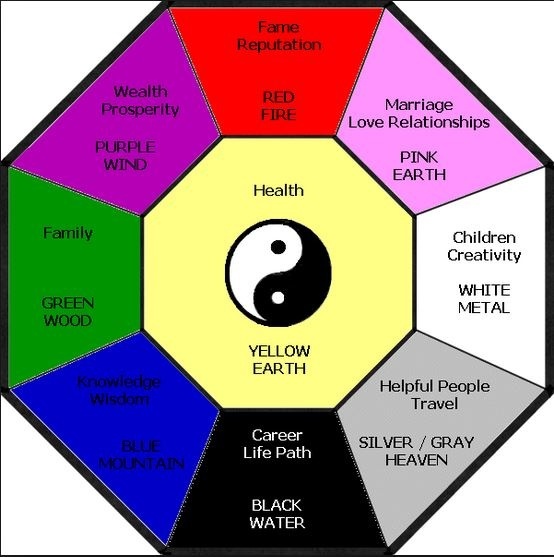 Ideally, applying the rules of feng shui correctly can even help you achieve some of your goals and dreams. Whether you’re single or in a relationship, there’s only one type of picture recommended in your bedroom, and that is a picture of, if you are in a relationship, yourself and your partner. If you are single, have a picture that represents the kind of relationship that you want. The goal is to capture the kind of relationship you want, whether you’re very single or in a committed relationship already. If you are in a relationship, frame a picture that captures both of you at your best: It can serve as a reminder of better days during rough patches. I have pictures of my daughter & my cats -- yes, I said it! Fresh flowers arranged nicely in the center of your home can enhance your health and well being. A major rule of bedroom feng shui is to not sleep with your back to the door. When you’re sitting in bed, you want to be able to see the door clearly. Not being able to can introduce tense energy to the space, whether you realize it or not. If moving the bed isn’t an option, for whatever reason, place a mirror—small or large—across from the bed that allows you to see the door. The same trick works in other rooms where you might face away from the door while relaxing: You always want to be able to see the door to a room. For feng shui in the living room, a decorative bowl overflowing with coins—chocolate, collectible, whatever—represents your finances overflowing. Place it in the southeast area of your home to give your finances a little love. If you are single and your bed is pressed into a corner of the bedroom, with two sides against walls, do what you can to shift it away from that corner. Ideally, at least a sliver of space should be between the side of the bed and the wall. This creates space in your life for love to enter. The bathroom is a place to release and cleanse energies. That energy can be easily lost, though. Make sure you keep your toilet lid down. Energy is money, it’s love, it’s friendship, it’s travel—that’s what energy is when we talk about feng shui. You don’t want to flush it down the toilet.